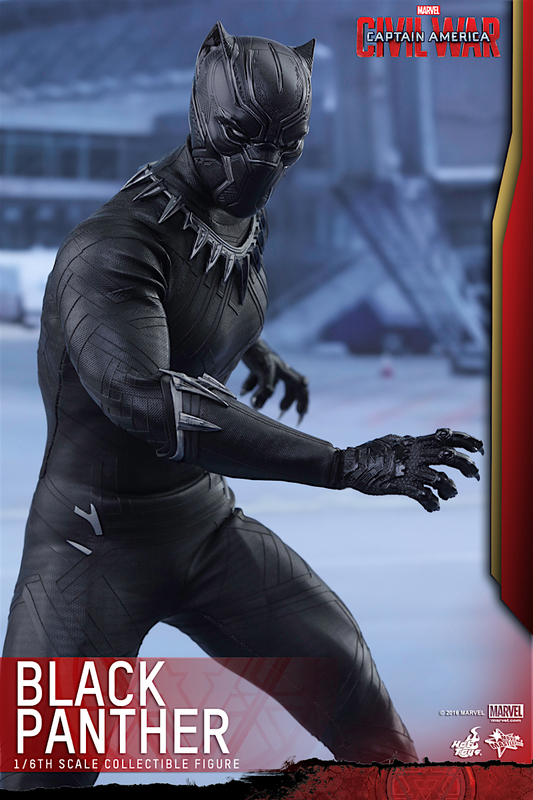 I think the character I'm most interested in seeing in Captain America: Civil War is Black Panther. 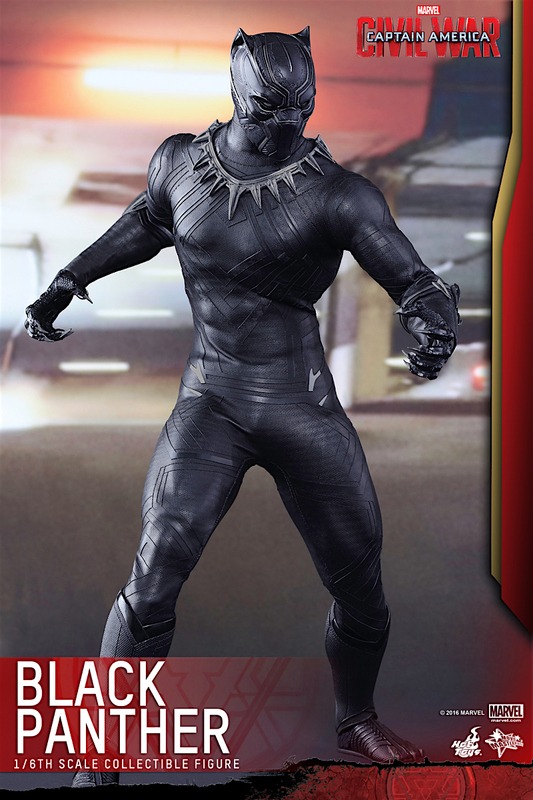 The character has been around a very long time, debuting in 1966 in Fantastic Four #52. 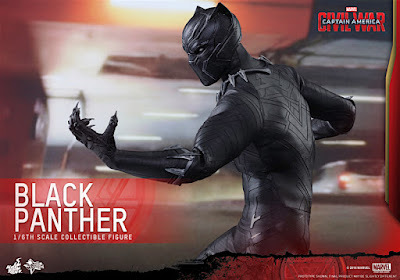 He has a very cool and interesting back story-- which I presume will be explored in full in his own film in a few years. 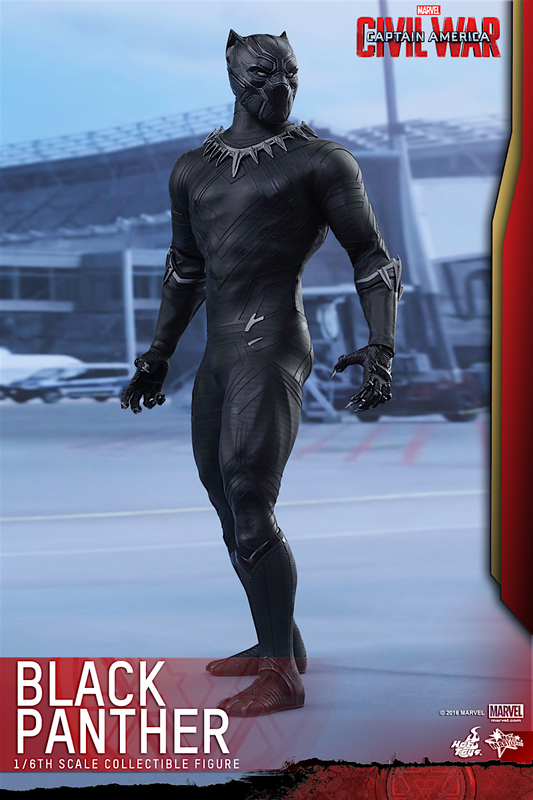 Black Panther-- T'Challa, king of the people of Wakanda-- is mostly just an ordinary man-- but an extraordinary ordinary man. 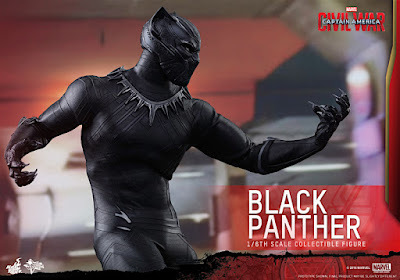 He possess physical prowess and fighting skills equal to Captain America, but he's also a genius on the level of Tony Stark (something I really hope that they explore in the movies). The Black Panther is powerful and noble and carries the heavy weight of the crown of his people. 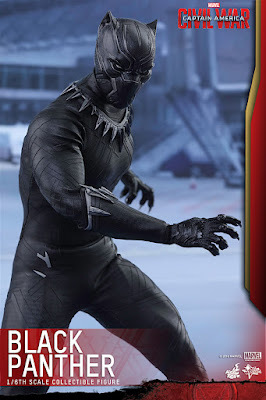 He's simply an amazing character. 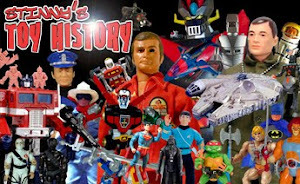 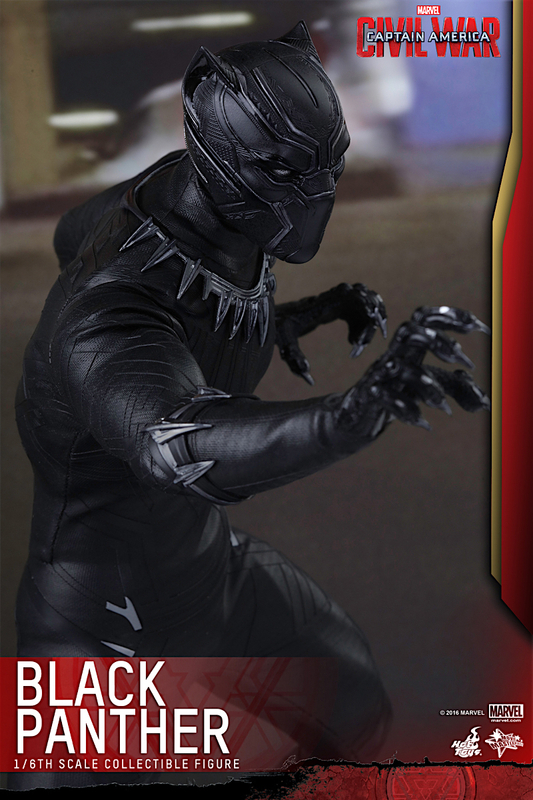 I'm sure his role in Civil War will be a smaller one, but I hope it gets people really excited about the character. He deserves it. 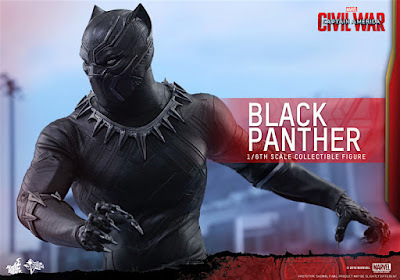 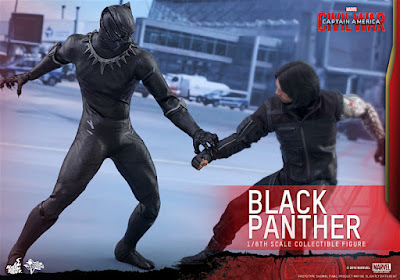 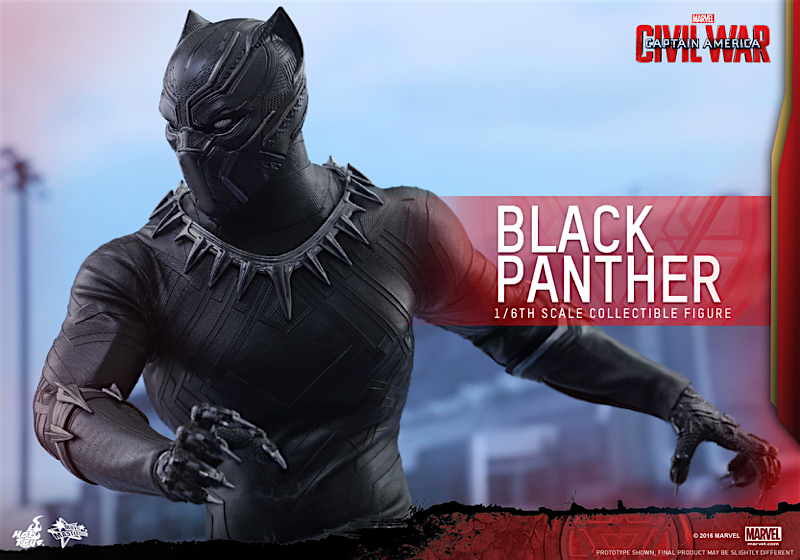 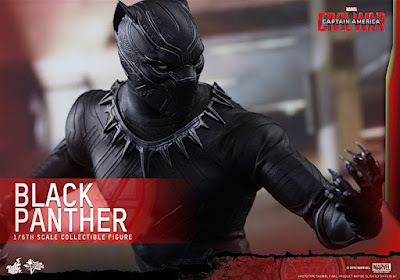 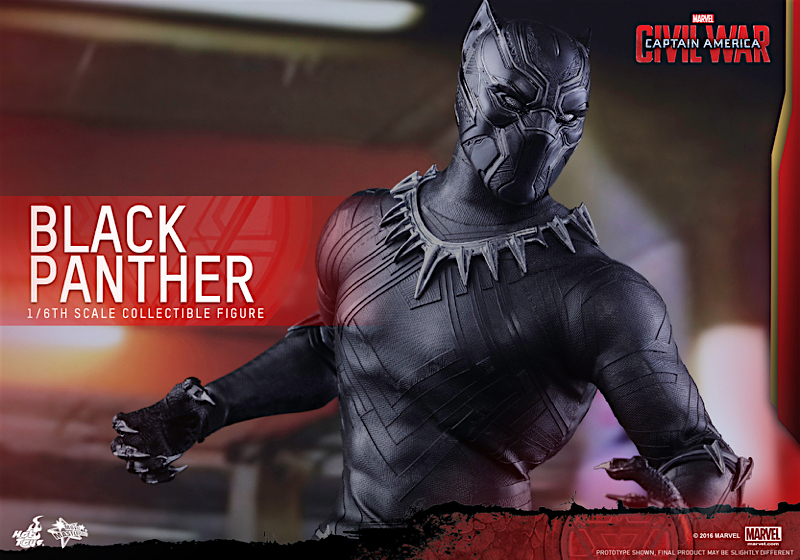 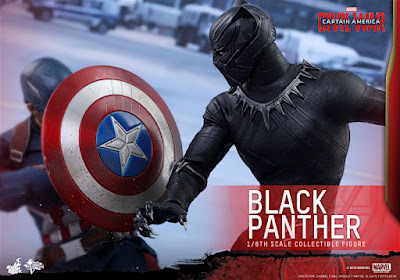 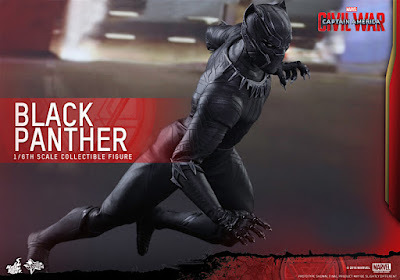 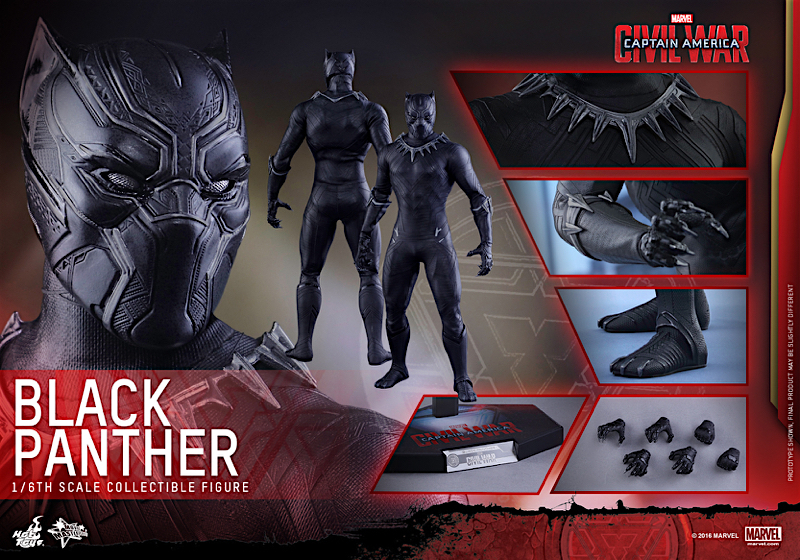 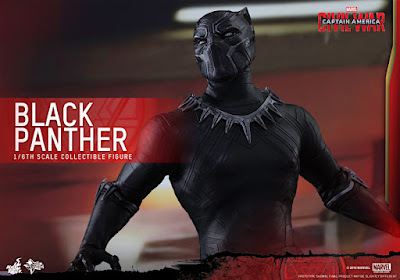 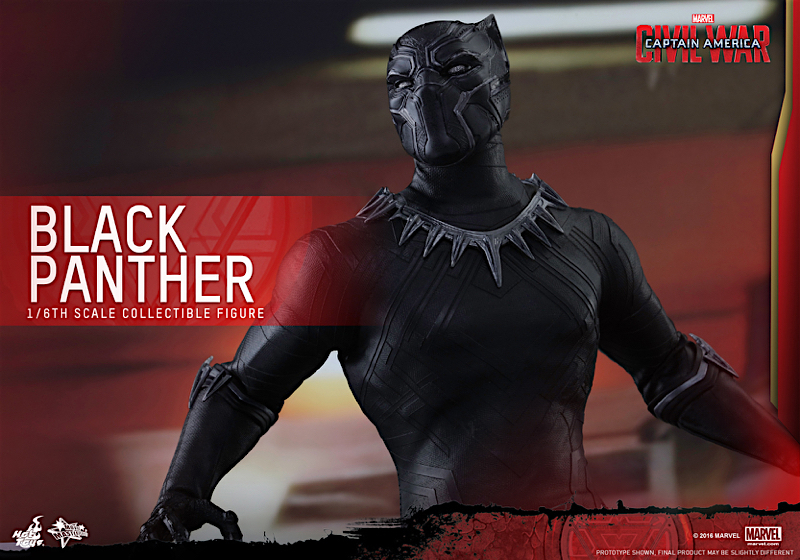 This new Hot Toys figure of T'Challa certainly has me pretty damn excited! 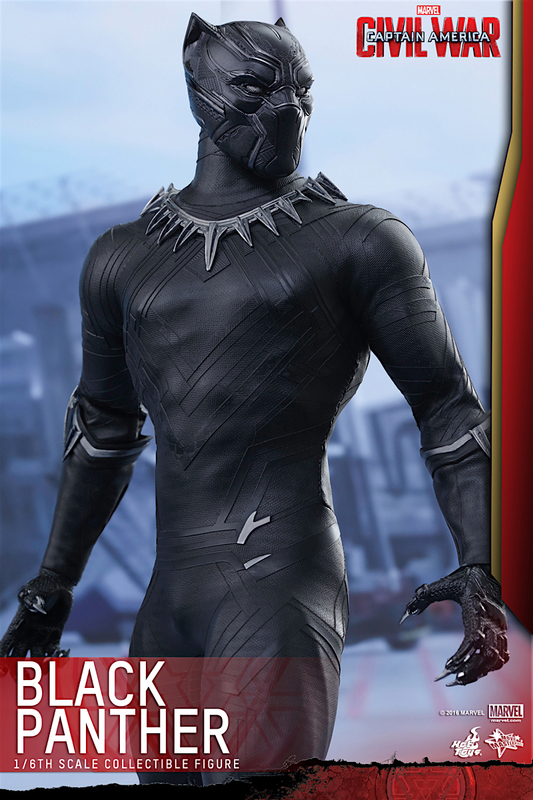 He looks absolutely amazing, and I think they seem to have handled his suit really well. I'm a bit disappointing that he lacks an unmasked head, but I can live with that as I'm sure the version based on his own film will include it. 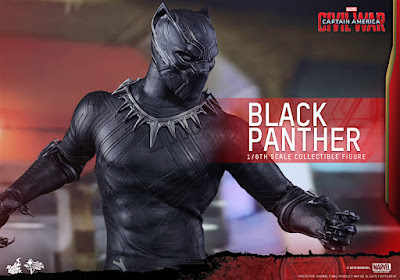 His release date and price should be announced in the next day or so and I'll post them here when they are.